“But does it stick to wood?” That’s what I asked the sales guy trying to sell me something on the phone. He was selling an industrial cement floor sealer. He said that it’d withstand 15 years’ foot traffic on a factory floor. 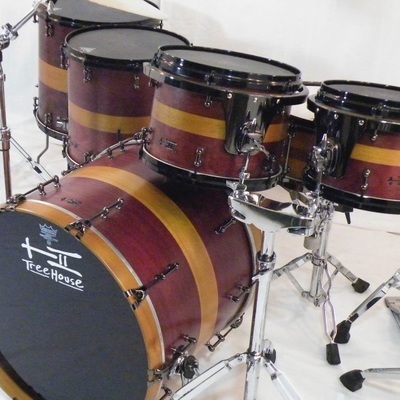 I though it’d be neat to try on drums. Turned out to be pretty cool—the stuff sticks, is tough, and looks neat! Another project was made of a wood that mellows in color from the light over time. I wanted something that would seal the wood and hopefully slow the color fade. I finally found this stuff that’s designed to seal up the teak handrails of yachts sailing on the high seas. One snare got a great sanded-in Maloof finish (one-third linseed oil, one-third raw tung oil, and one-third semigloss urethane varnish) for an incredible result…that splashed all over the room when applying with the orbital sander. FUN!! 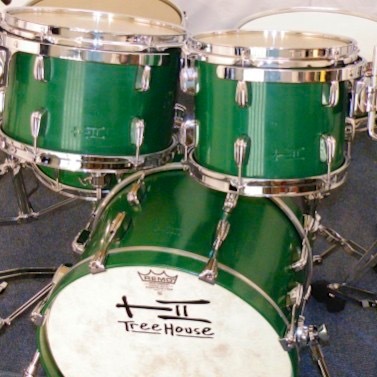 ​A really neat thing about a TreeHouse Drum with a prototype finish is that it doesn't cost more than a standard finish--think of your willingness to accept whatever comes out as your being a guinea pig for the effort where you're paid by our charging less than the effort might be worth. Though there may be a weird spot as we’re learning the new medium, what never gets sacrificed are the quality of bearing edges, hardware installation, precision measurements, etc. 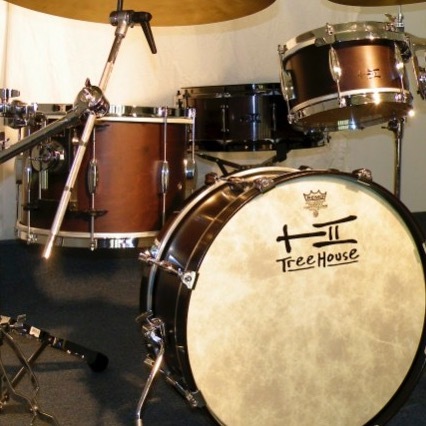 Prototype finishes are just that—prototype Finishes on high-quality drums. As a nod to the consumer for taking on a drum which may not be able to be matched in the future, pricing may be less than future production runs of new media.